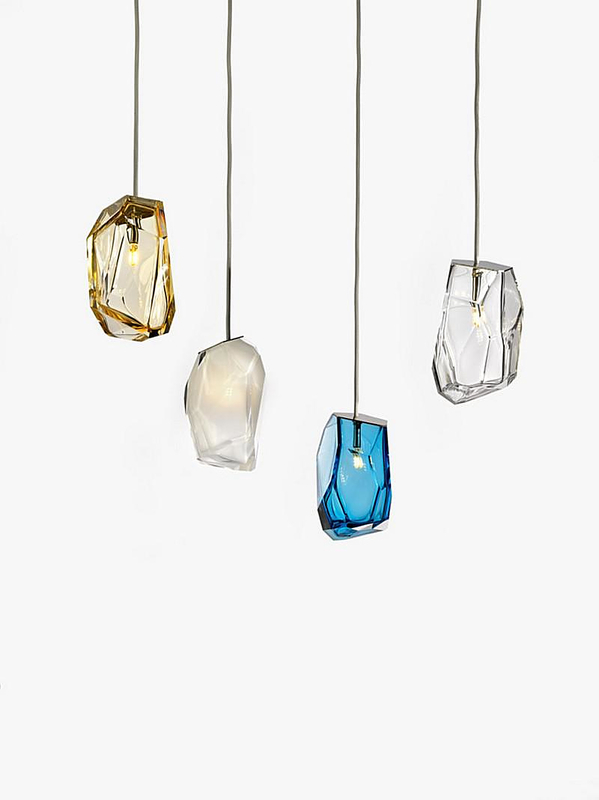 HomeBlogHome DecorCrystal Rock Lights by Arik Levy for Lasvit. 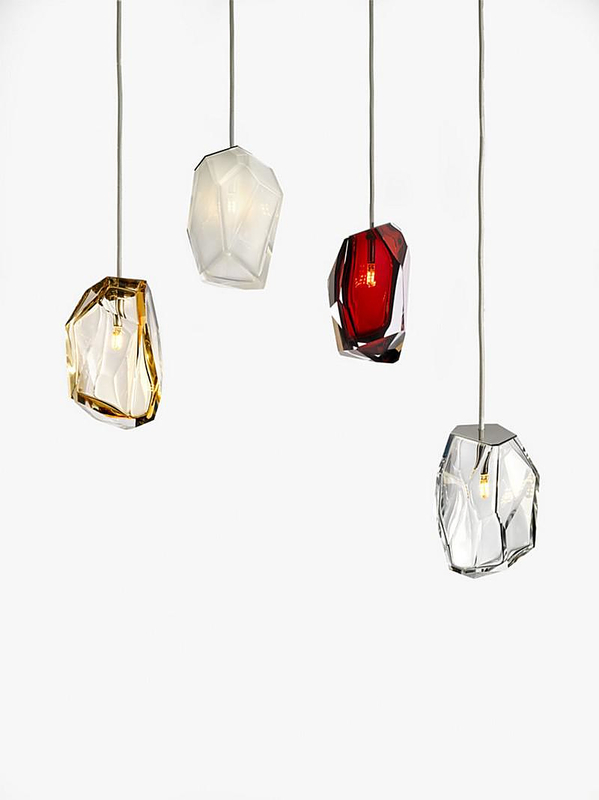 Crystal Rock Lights by Arik Levy for Lasvit. 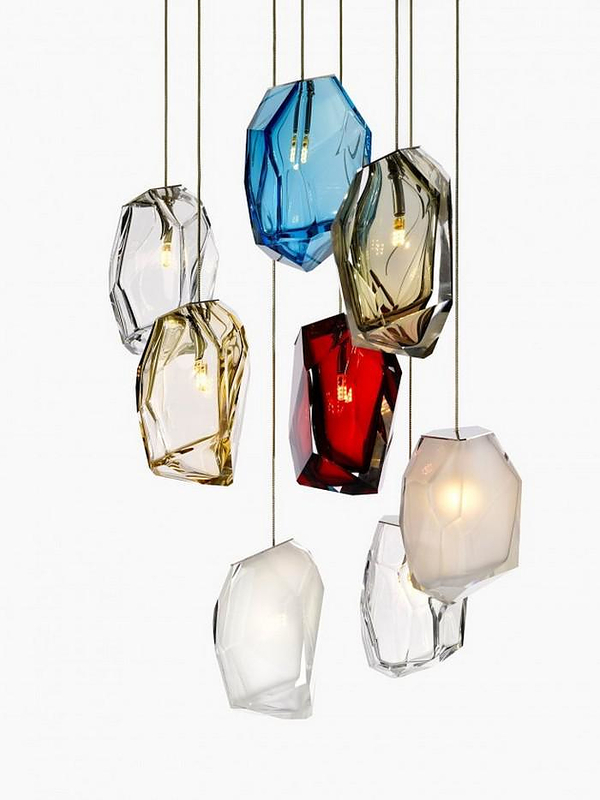 Crystal Rock is the latest creation of acclaimed designer Arik Levy. 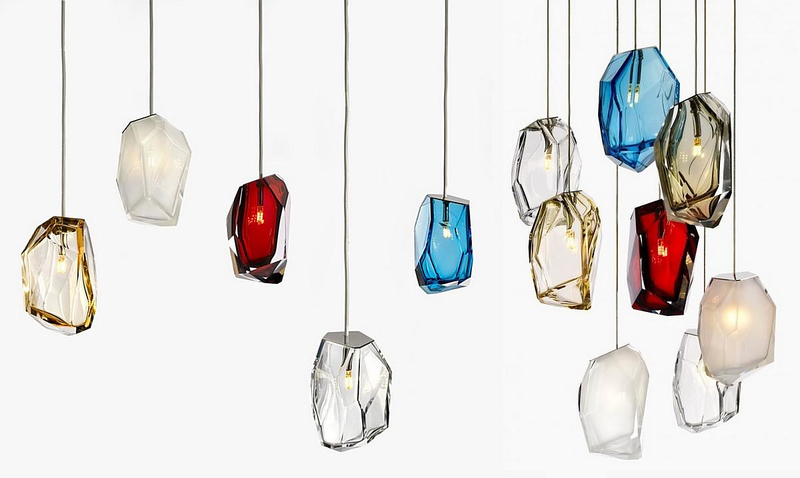 An impressive collection of glass pendant lights he created for Czech glass lighting specialist Lasvit. 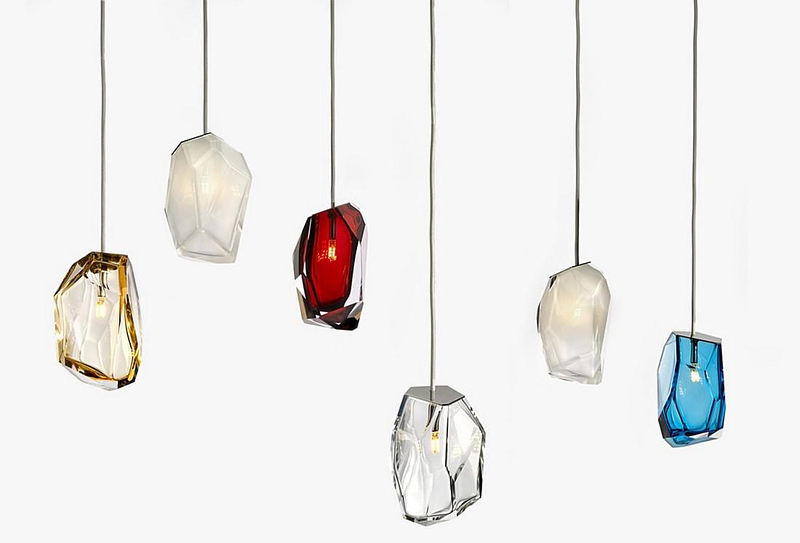 The glimmering gem-like collection of lighting was unveiled at 2014 Milan Design Week. Arik Levy is famous Best known publicly for his limited edition design and his sculptures, such as his signature Rock pieces, so it comes as no surprise that once again the archetypal form of a rock was once more his inspiration. As Lasvit puts it: “Not from the Stone Age but closer to Kryptonite, Crystal Rock appears in the cave of the future as an ambassador of the fusion between nature and man, light and reflection, transparency and mass. 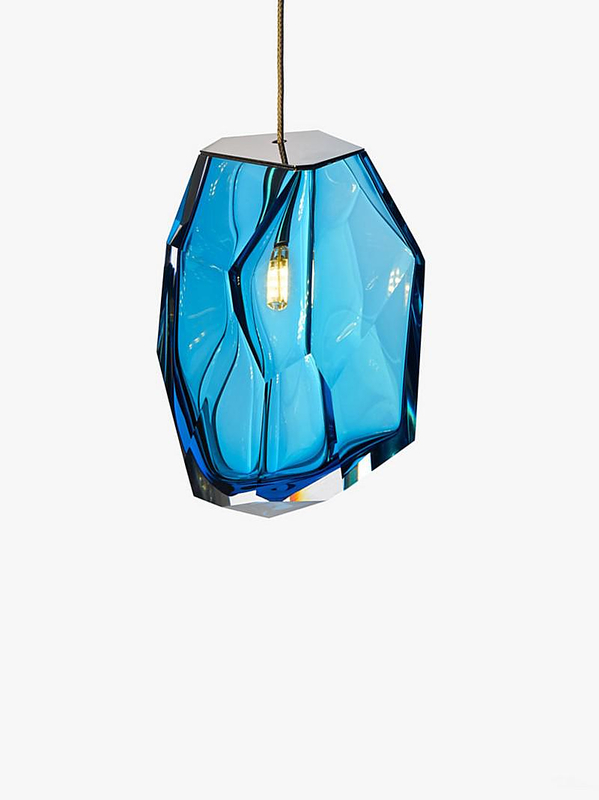 Unique in their ever detail these wonderful pendant lights can be used in single or multiple combinations, to create an impressive lighting effects. 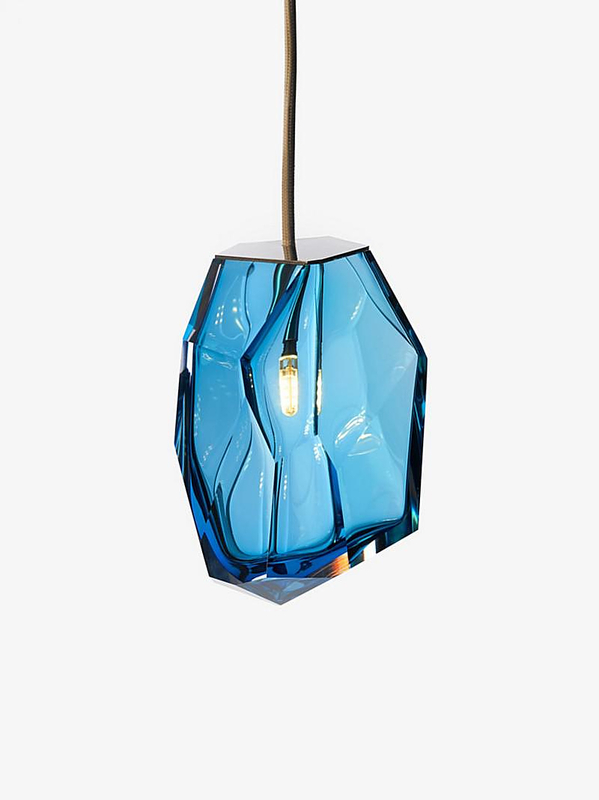 Yet our favorite aspect of the design is that it combines artisan level glassmaking with a modern look and feel. Arik Levy (born 1962) is an artist, technician, photographer, designer and filmmaker. Levy’s skills are multi-disciplinary and his work is present in prestigious galleries and museums worldwide. 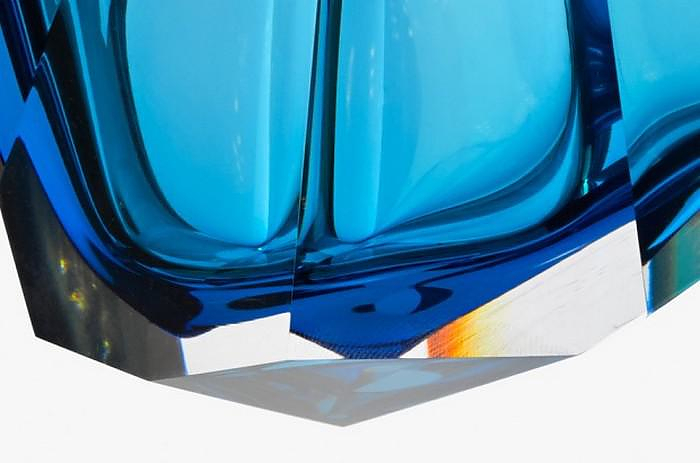 Despite the fact that he is famous for the wonderful objects he designs, Levy feels that “the world is about people, not objects”.